Mircea Cantor. 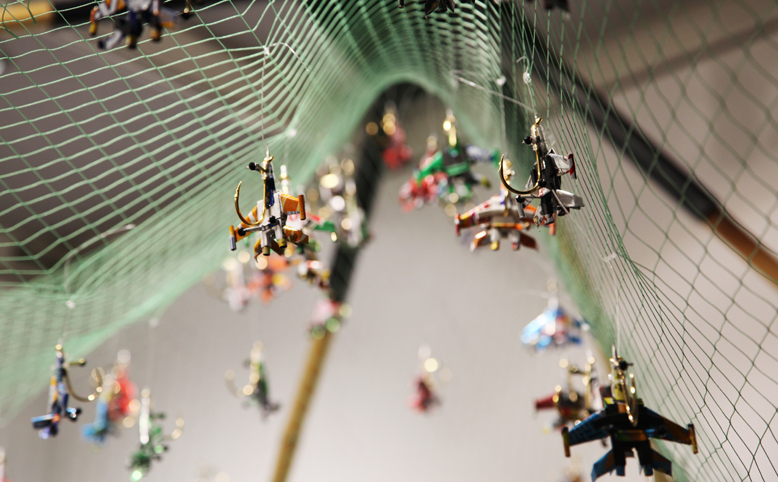 Fishing Flies, 2011. 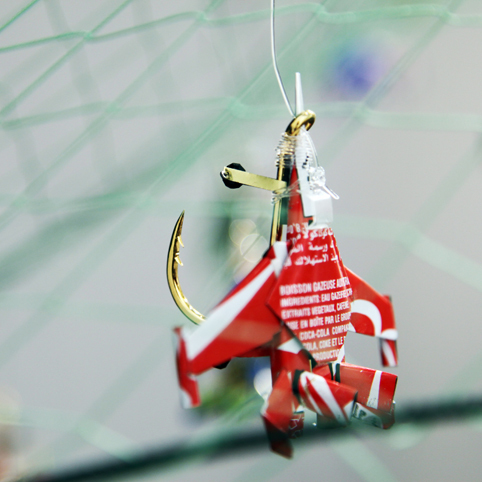 Airplanes made of soda cans, fishing hooks, fishing wire, fishing net, bamboo, steel. 170 cm x 270 cm x 270 cm, positioned on wall at 161 cm height, 2012.